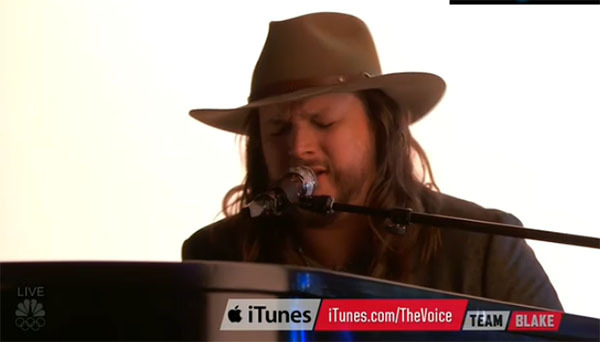 Adam Wakefield from Team Blake sings ‘When I Call Your Name’ on The Voice Season 10 Finale Top 4 live performance show on Monday, May 23, 2016. “I love what you do up there. You are so talented. You runs are so impressive to me, they are so accurate and insane,” said Christina Aguilera. “You have such an amazing taste. You have the most impeccable taste in songs,” said Adam Levine. “I am happy for you right now. They know what you just did is an iconic song. You just blew the roof off with this performance,” said Blake Shelton. Did you like Adam Wakefield’s cover song? Share your thoughts and views on the comment section below.